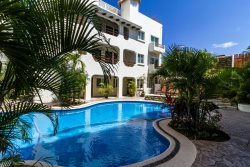 Browse all of Vimex Vacation Rental's beautiful beach condos and villas located in Playa Del Carmen. You can safely book your rental directly online or call us +52 (984) 803 2231. Balaya condo, Lagunas de Ciudad de Mayakoa / Available for Long-term Rental too!